Brittany brings over a decade of leasing and redevelopment experience to McCor Realties (Ontario) Inc. With vast Pan-Canadian experience, Brittany has played a vital role in the redevelopment of over 3 million square feet of retail projects. Her creative vision and ability to see past the existing to achieve a site’s full potential helps clients build significant value to their portfolios. Brittany played a leading role in the leasing and redevelopment of Mayflower Mall, Sydney Nova Scotia, increasing the value of the centre from $45 million to over $69 million. Her latest project Georgetown Market Place saw an increase in value of over $30 million dollars and still growing! 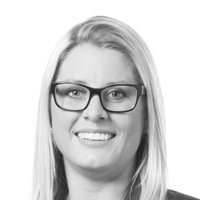 Brittany excels and Tenant relationships and lease negotiations, on behalf of owners / landlords. 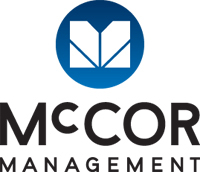 Brittany is the broker of record for McCor Realties (Ontario) Inc. overseeing every aspect of the company’s brokerage operations, from property sales and commissions to managing trust accounts. Brittany, who has a Bachelor of Commerce in economics and marketing from the University of Guelph, is a member of the International Council of Shopping Centers.